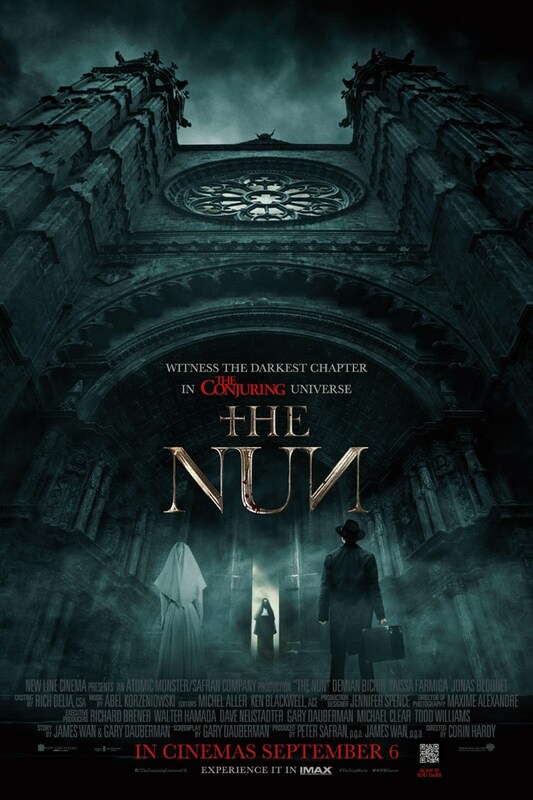 In "THE NUN", a priest with a haunted past and a novitiate on the threshold of her final vows are sent by the Vatican to investigate the death of a young nun in Romania and confront a malevolent force in the form of a demonic nun. Bonnie Aarons reprises her "CONJURING 2" role as the title character, which means more physical horror and less CGI, says director Corin Hardy. "THE NUN" stars Oscar-nominated Demian Bichir ("A BETTER LIFE") as Father Burke, Taissa Farmiga (TV's "AMERICAN HORROR STORY") as Sister Irene, Jonas Bloquet ("ELLE") as local villager Frenchie, Charlotte Hope (TV's "GAME OF THRONES") as the abbey's Sister Victoria, Ingrid Bisu (“Toni Erdmann”) as Sister Oana, and Bonnie Aarons. Synopsis : When a young nun at a cloistered abbey in Romania takes her own life, a priest with a haunted past and a novitiate on the threshold of her final vows are sent by the Vatican to investigate. Together they uncover the order's unholy secret. 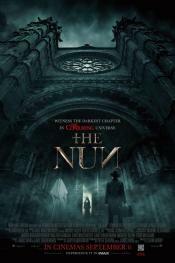 Risking not only their lives but their faith and their very souls, they confront a malevolent force in the form of the same demonic nun that first terrorized audiences in 'The Conjuring 2,' as the abbey becomes a horrific battleground between the living and the damned.